Welcome to the Press section at Camping Ireland! We have created this site to offer journalists information about Camping Ireland. On the right you will find press releases, images, suggestions for press trips and facts about Irish Caravan and Camping Council (ICC), the National trade Association for Ireland caravan and camping park operators. 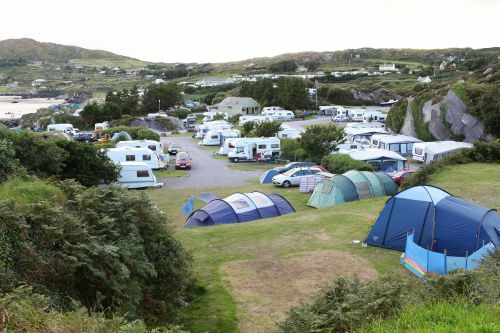 The Association is composed of approximately 100 caravan and camping park operators, whose sites are Failte Ireland registered and have fulfilled the stringent criteria laid down by the Bord. In addition to park members, an influential core group of caravan manufacturers, dealers, and equipment suppliers make up the additional membership. Our mission is to market and develop ICC’s members, let the rest of the world know about camping and attract guests – to make Ireland their holiday destination. If you would like to travel to Ireland’s to visit any of our campsites or would like more information about camping in Ireland, please contact us. We are always happy to discuss ideas for press trips and help you arrange programmes.